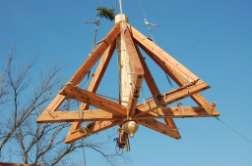 Great Lakes Log Crafters Association | "Promoting Excellence in the Handcrafted Tradition"
The GLLCA is an organization of professional log builders and others interested in the art of handcrafting log structures. The organization is dedicated to “PROMOTING EXCELLENCE IN THE HANDCRAFTED TRADITION” and joins a network of professional craftsman to share tricks of the trade and advance the art to builders and homeowners. 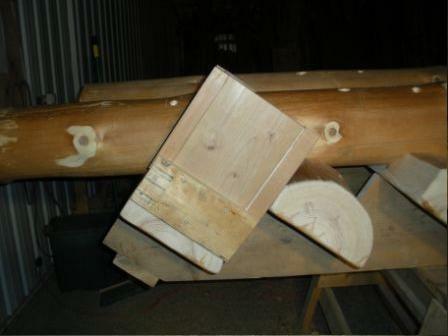 Are you a log craftsman or in a related industry like restoration, furniture, carving, or supplies? Consider joining the GLLCA to promote handcrafted log building, learn about the trade, and keep the tradition moving forward. I am wondering if any other wives of log home builders feel the way I do so I thought of writing this article to see if anyone agrees with me. My life as a wife of a log home builder is not an ordinary life. Usually, our yard is full of piles of logs, muddy driveways; lots of equipment parked every where, and the sound of chainsaws running all day long. As the wife of a log home builder I find it necessary to work outside the home just to get away from all the noise. The life of a wife of a log home builder is one of working around my husband’s schedule. Because of his unique style of construction, log home builders don’t get home at 5:00 p.m. for supper because that one curvy, snarled log they picked out that morning was taking longer than planned to get scribed and positioned on the wall. A log home builder is not a carpenter; he is the creator of something special. final destination. Then just when I think I can call and book that dream vacation I have been dreaming of, he gets a call and it all starts over again. My life as a wife of a log home builder is one of watching a man come home at night so excited because he was able to work a log into the wall that has a porky pine chew right where it will be most noticeable. I get to watch a man that even though his joints hurt, his back hurts and his muscles ache, he loves going to work every day just to see what challenges are out there for him to tackle. By Frank Vanderveur of Minnesota Logworks, Inc. 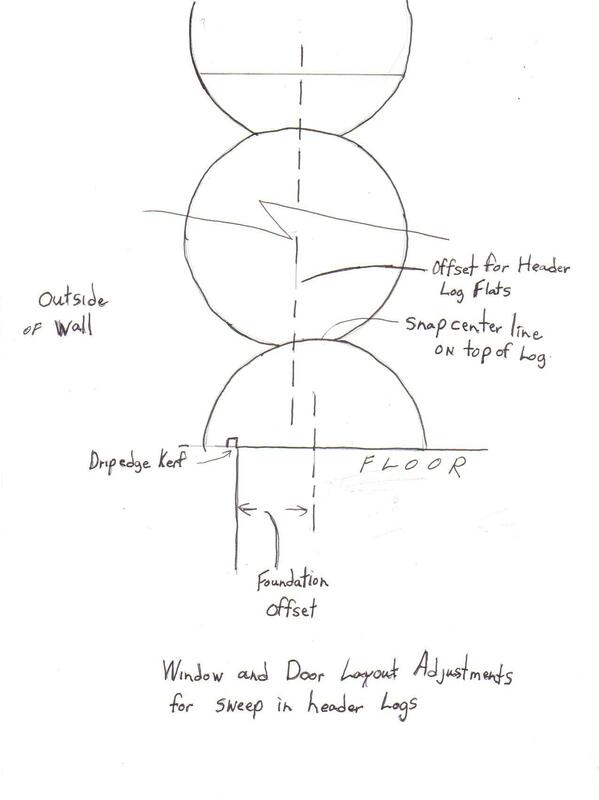 Here is another way to cut the correct angles on the top and bottom of the staircase. This jig that I have tried worked well for me, it was fast and accurate. 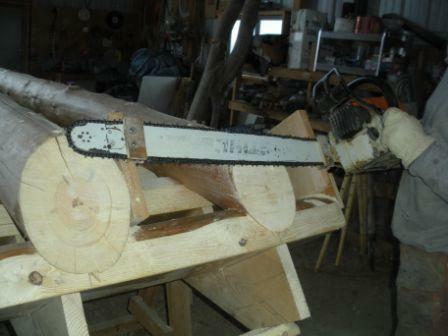 I used a 2×2 and added “filler wood” which includes the wooden guide, on which the pads mounted on your chainsaw bar glide on. 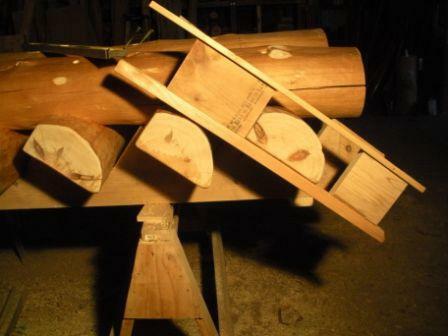 The total sum of the “filler wood” and guide is equal to the height of the riser, which in this case is 7-5/16”. I slide the jig over the stair tread and fasten the 2×2 with screws to the top surface of the stair tread. It depends on how long of a bar you have but if you can’t cut both stringers at the same time you can cut the first stringer and then move the jig from one end to the other end of the stair tread and leave the one jig in the middle between the stringers. Then cut the second stringer. 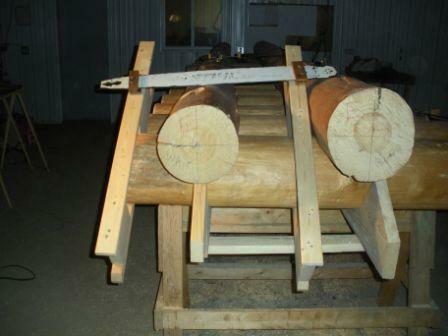 For the top part of the staircase stringer, I used a 12” x 10 ½” jig made out of 2×2’s and a 2 x 10 cut to the right run which in this case is 10-½”. I fastened these to the end of the stair tread using a piece of plywood and screws. See picture # 3. If your bar is not long enough you can place a jig in between the stringers, cut the first stringer and just move the first jig to the other side in order to make a cut on the second stringer. Good Luck and keep your chain sharp.